MANILA (August 30, 2018) – After the successful launch of direct receive service, MoneyGram (NASDAQ: MGI) and GCash announced today that customers worldwide can now also send money to over 10 million GCash mobile wallets in the Philippines, 24/7. This partnership supports further growth of MoneyGram’s digital channels in the world’s third largest remittances receive market. 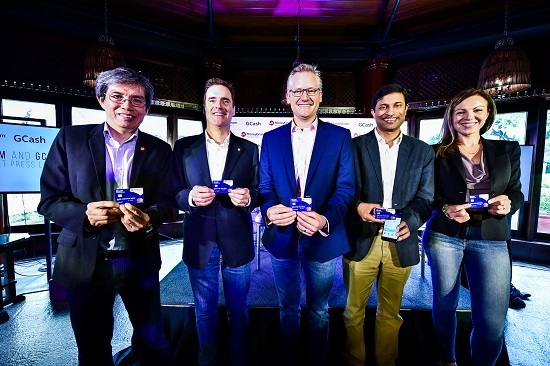 “With the growing number of Overseas Filipino Workers (OFWs) looking for a reliable way to send money back home, the collaboration with GCash aligns with our strategy to provide user-friendly, rapid-response and low-cost channels to send money across borders,” said Alex Holmes, MoneyGram’s chairman and chief executive officer. “The expansion of digital channels combined with a strong network of agent locations, enables MoneyGram to offer a differentiated customer experience that allows consumers to transact with us their way,” added Holmes. Funds can be sent via MoneyGram online or at any one of MoneyGram’s thousands of locations in 200 countries and territories around the world to reach a GCash mobile wallet in minutes. Money will be deposited into the mobile wallet in the Philippine Peso. The receiver will get an SMS notification of every incoming money transfer and will be able to use funds instantly for purchasing goods and services online or paying bills. “We are delighted to partner with MoneyGram once more to improve the way remittances are processed in the Philippines. GCash is committed to make the experience of sending money more convenient for both the sender and receiver. The OFWs and their families are a big segment of the remittance business as well as a key contributor to the country’s economy. We need to do more for them and we think this partnership with MoneyGram leads us to that direction,” said Anthony Thomas, President and CEO of Mynt, the operator of GCash. The launch of the new service was followed by a presentation of an OFW Family Card which allows customers to withdraw their money for free twice a month at any BancNet ATM in the Philippines. The OFW Family Card will be awarded to each registered and verified GCash user who receives a minimum of PHP 500 via MoneyGram between September 15 and December 30.